Epilepsy Association of Sri Lanka (EASL) had organized an event at the Epilepsy Unit in Colombo National Hospital, yesterday (11) to celebrate the World Epilepsy Day. Director General of Health Services Dr. Anil Jasinghe and former Sri Lankan Cricket Captain Kumar Sangakkara attended the event as chief invitees. Speaking at the event Kumar Sangakkara stated that as Sri Lankans, while we build up our lives and achieve our dreams, we all have a responsibility to strengthen our neighbors’ lives and contribute to their success as well. Stating that an open dialogue on epilepsy is needed, he says that, the time has arrived to find solutions for support, financial aid, medication, treatment, and spreading awareness on epilepsy in order to ensure that epilepsy patients lead a positive life. 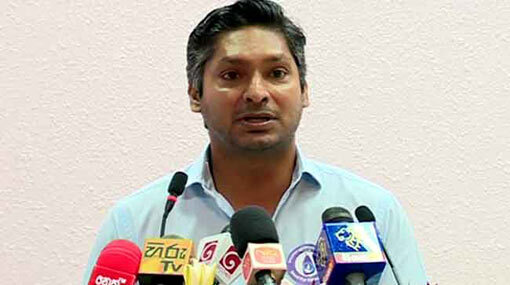 Sangakkara further said that, if we can help fulfill the dreams and hopes of epilepsy patients and empower their lives, there is no other real success in our lives. Meanwhile, the awards ceremony of the open short film festival organized by the EASL was also held at the event.